A church wedding in the Lake Winnipesaukee area of New Hampshire is the traditional way to marry the one you love. As you plan how you will walk down the aisle you'll want it to look as beautiful as you do. Drape floral garlands, rent potted plants, tie bows to the pews and decorate to complement the season. Selecting the perfect place to get married could be as easy as location to relatives or the ambiance you desire. 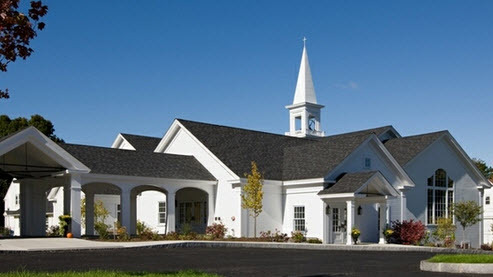 There are many churches to get married in around the Lake Winnipesaukee area. I have compiled a list of most of the places to have a church wedding in the lakes region of New Hampshire. Return From Church Wedding in New Hampshire Back to Weddings.